@cheyenne @brunoph Step one: invent time machine. @JPEG @tootapp @chartier Sorry my further intrusion, but would an option to put the wheel on the left be possible? And/or changing the tap action for it to scroll up in current view instead of switching to timeline view? * You can now customise the colour of of the different styles. You can even have different colours for each instance! * Reply markers are now used on the main timelines too, to more easily see which toots have replies, or are replies. 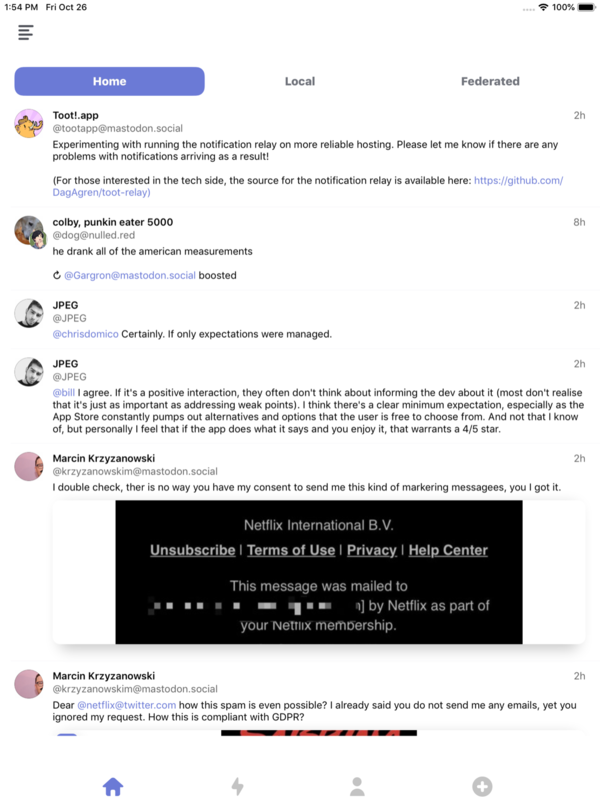 * There are now link preview on the main timelines, too. * You can pick the type of keyboard to use. The default social media style keyboard is also slightly more clever and will often insert two new lines when you press return. Considering releasing it on its own as a separate app after all that work! @chartier @chrisWhite the PCalc racing game comes with a free calculator! 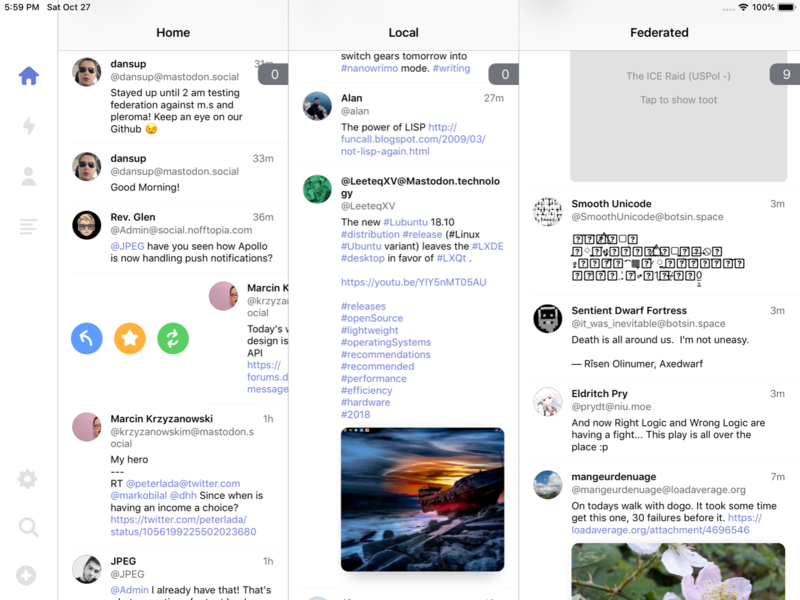 @JPEG Have you thought about syncing timeline position to iCloud so when you pickup iPad after using Mast on iPhone (or vice versa) for awhile it jumps to where you left off instead of having to scroll and sync 19 toots at a time manually? @JPEG @chartier I noticed it behaves a little strange in split screen. Here I’m comparing to mobile web interface of latest mastodon version. 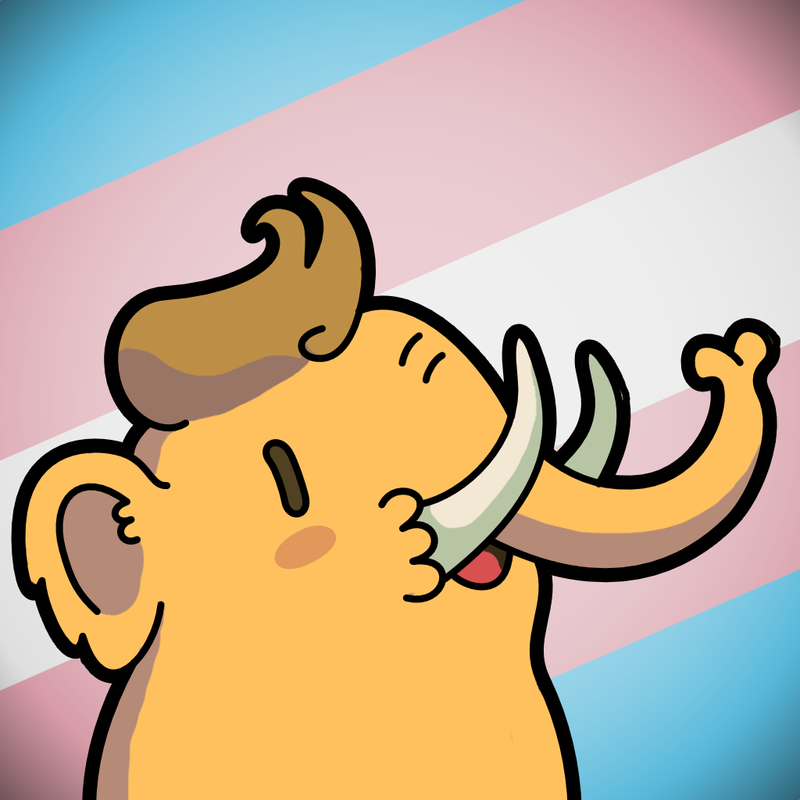 Also, did you know you can follow any Mastodon account through RSS? In essence, Mastodon is a decentralized, open source social network. This is the jenkins.cc instance - just one part of that network - which is run for my own personal use.